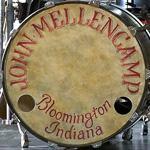 John Mellencamp Community > MELLENCAMP DISCUSSION > No Better Than This Tour Talk > Edmonton, AB > Going to Edmonton? Can't wait to buy my tickets tomorrow! This is one performer I have never seen live and I am very excited!! you won't regret it!! best show live ever! good luck! My wife & I had front row center tickets for Saturday the 16th's show. JM was under the weather, and probably down in the dumps as well, having just lost a good friend. 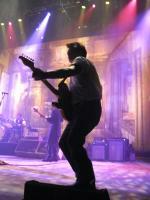 However he soldiered on, and gave a great show. We hadn't seen him since '88. I'd rather expected a 'greatest hits' show, but was pleasantly surprised, not only by the amount of newer material he played, but by the retooling of some of his classics. He's pushing 60, and not still trying to pretend he's 30. Great to see an artist of this caliber mature. Like a fine wine, John just gets better with age.